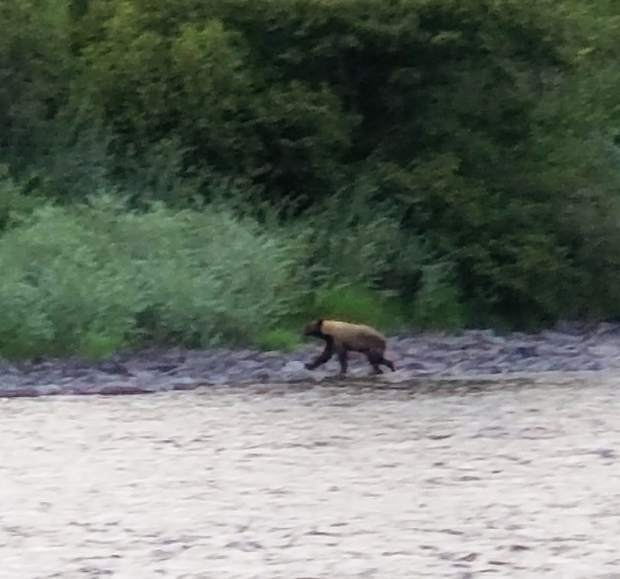 Local bears may be displaced from the Lake Christine Fire as this cinnamon-colored bear was spotted along the Roaring Fork River in Glenwood Springs Monday evening. Photo posted to the Roaring Fork Swap Facebook page that night. As midvalley residents were allowed back into their homes after evacuating earlier this month when the Lake Christine Fire broke out, some of the valley’s other residents — bears, deer, and countless other wildlife species that call Basalt Mountain home — aren’t as fortunate. Mike Porras, spokesman for Colorado Parks and Wildlife Northwest Region, said there’s been an uptick in wildlife sightings in the area since the Lake Christine Fire. In recent days, several Basalt, Carbondale and Glenwood Springs residents have reported on Facebook bear and other wildlife making their way in town. According to Porras, wildfires are a natural part of living on the Western Slope for the wildlife, and while some animals may be displaced, they will rebound, he said. With 11,796 acres burned, and at 39 percent containment as of Tuesday morning, the Lake Christine Fire has forced wildlife off of Basalt Mountain to find new homes. However, Porras said he’s seen wildlife return to their former habitat as soon as a week after a fire, depending on the extent. “Fires happen for a variety of reasons, and this fire may lead to more sightings in Garfield County, but the species are perfectly capable of taking care of themselves,” he said. If somebody sees an animal injured from a fire, Porras recommends calling CPW or Colorado State Patrol, and to let those agencies handle it.